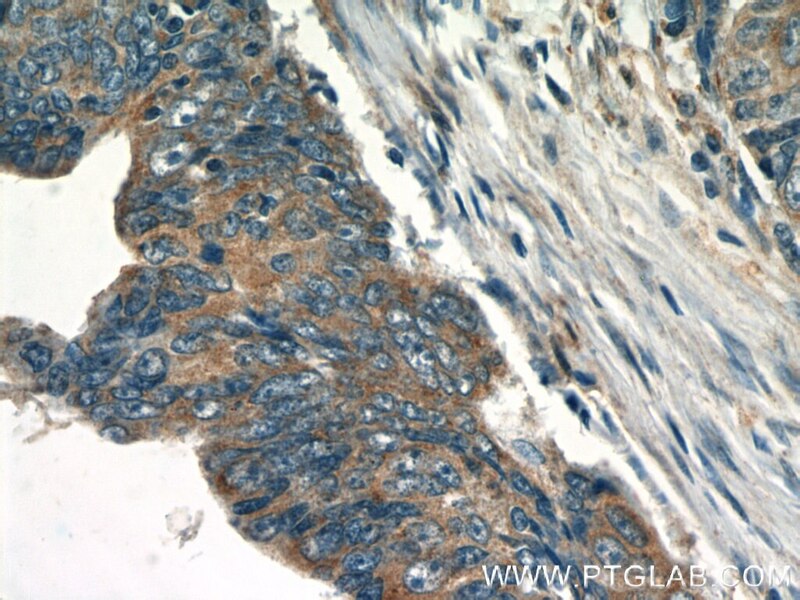 IP Result of anti-PTPN2 (IP:11214-1-AP, 4ug; Detection:11214-1-AP 1:500) with HL-60 cells lysate 4000ug. 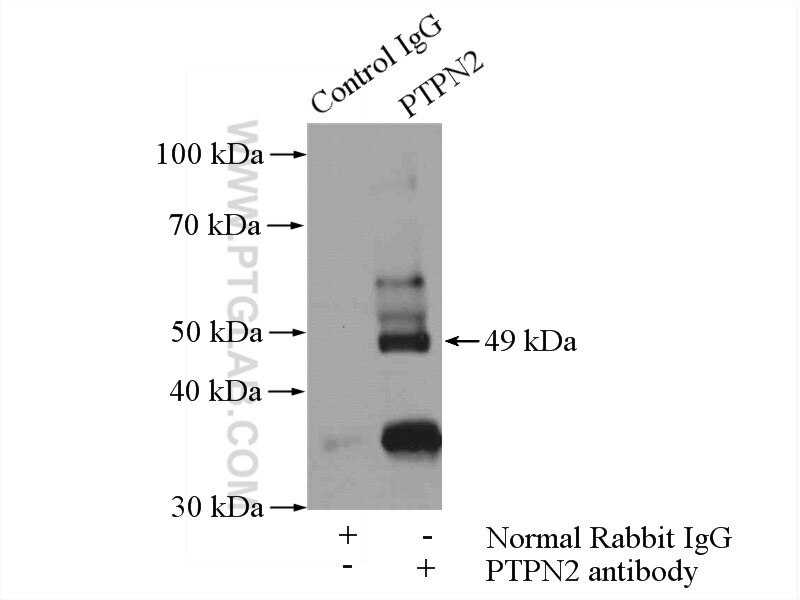 PTPN2(Tyrosine-protein phosphatase non-receptor type 2) is also named as PTPT and belongs to the protein-tyrosine phosphatase family. It may modulate beta-cell apoptosis and/or local release of inflammatory mediators in the course of a viral infection by acting, at least in part, at the pancreatic beta-cell level(PMID: 19825843). This protein has 3 isoforms produced by alternative splicing. Cryptotanshinone inhibits human glioma cell proliferation in vitro and in vivo through SHP-2-dependent inhibition of STAT3 activation. 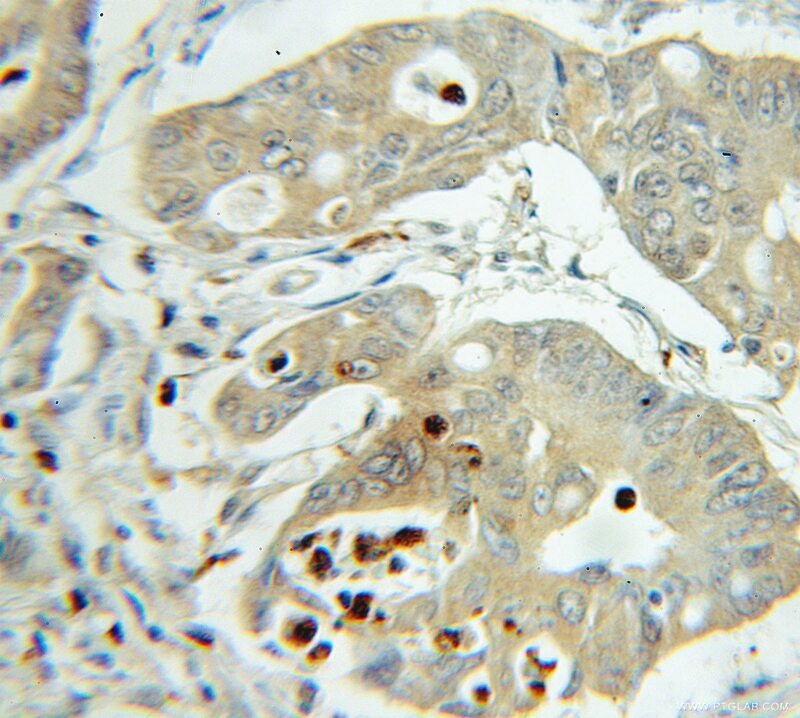 PTPN2 deficiency along with activation of nuclear Akt predict endocrine resistance in breast cancer. Targeted disruption of TC-PTP in the proliferative compartment augments STAT3 and AKT signaling and skin tumor development. An Ehrlichia chaffeensis tandem repeat protein interacts with multiple host targets involved in cell signaling, transcriptional regulation, and vesicle trafficking. 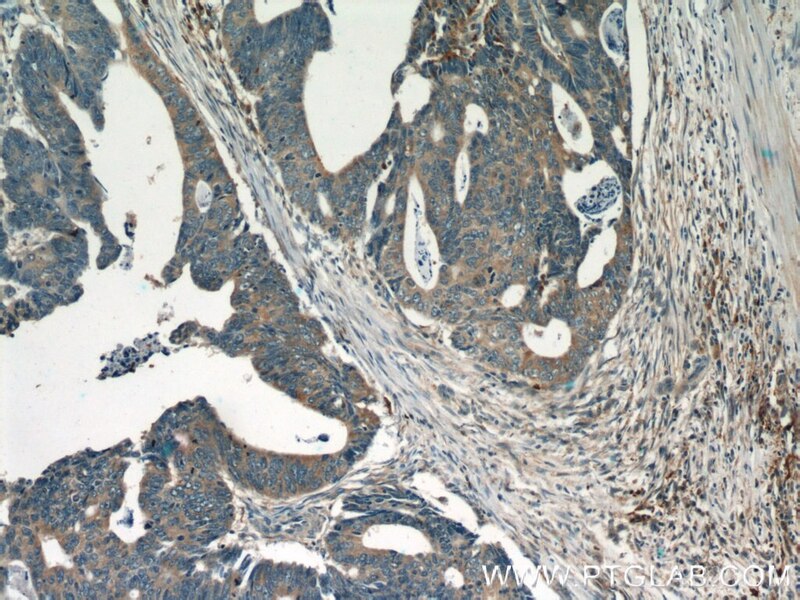 ERBB2 and PTPN2 gene copy numbers as prognostic factors in HER2-positive metastatic breast cancer treated with trastuzumab.